Manuka honey is hailed for its antibacterial and healing properties. It also may have anti-cancer properties and be useful for cancer patients who suffer issues with radiation therapy. This honey has the potential, however, to interfere with some cancer treatments. Consult a doctor before using manuka honey for any purpose. Manuka honey is collected from beehives around the New Zealand native Manuka bush. It has anti-inflammatory, antimicrobial and anti-cancer properties in laboratory experiments, according to the Memorial Sloan-Kettering Cancer Center in New York, or MSKCC. Also, this honey has numerous flavonoids. Flavonoids have potential anti-cancer effects, according to a November 2002 "Current Medicinal Chemistry" scientific review. Manuka honey may help you if you have ulcers or wounds due to radiation therapy, reports Angie Knox of BBC News. It's also potentially helpful on fungating wounds where cancer breaks through skin, Knox notes in the June 2004 story, "Harnessing Honey's Healing Power." Manuka honey promotes wound healing by lowering the pH on wound surfaces and modulating production of inflammatory substances called cytokines, according to MSKCC. 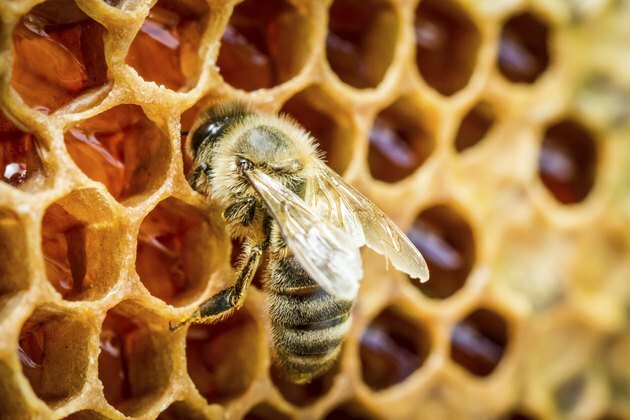 It also has antibacterial properties that are attributed to several compounds in the honey, including unique manuka factor, or UMF, a little-understood substance found only in this honey. Manuka honey may help prevent infection in wounds like ulcers, according to a June 2008 "Journal of Wound Care" study. In fact, it is effective in eradicating meticillin-resistant Staphylococcus aureus, or MRSA, in 70 percent of chronic venous ulcers, notes lead study author G. Gethin. That works better than a hydrogel dressing, which eradicates MRSA in16 percent of wounds, Gethin notes. While you'll find Manuka honey promoted to cancer patients, MSKCC points out that it's unclear whether the honey actually has any anti-cancer effects in people. Its ability to help with some cancer-related problems, like oral mucositis following radiation therapy, also is not well studied, although there is an ongoing clinical trial on this possible benefit as of July 2011, reports MSKCC. Oral mucositis is inflammation and ulceration that occurs in your mouth. Manuka honey has a theoretical risk of interfering with some chemotherapeutic agents. This risk is due to the honey's antioxidant effects, according to MSKCC. The sugar in this honey also may increase your blood glucose levels, a concern if you are diabetic. Avoid Manuka honey if you are allergic to other types of honey.